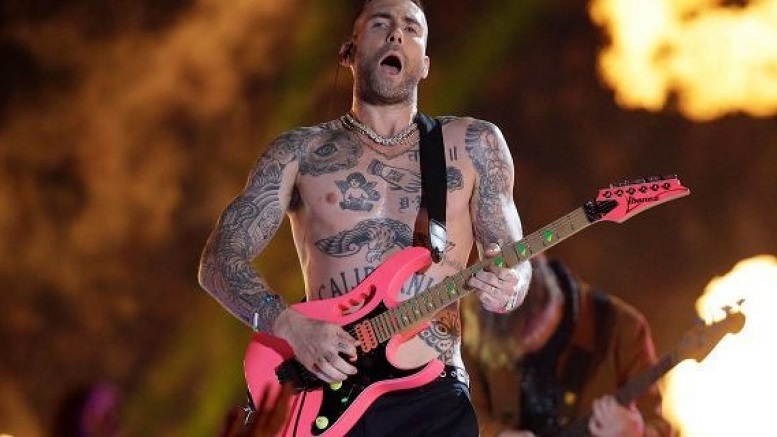 Maroon 5 lead singer Adam Levine is still in a coma in an Atlanta hospital today, after having been sacked by the LA Rams defense while performing as part of the Super Bowl Half-time show. The Patriots defense were first urged to do something but declined to get involved. However the LA team took it personally as, with Maroon 5 also being from LA, they felt their hometown was being dragged down. Though the Rams feared a backlash for their actions, they are receiving widespread support from the public. There are even calls for them to be made the official champions instead of Brady and Co., citing their inaction at half-time. Be the first to comment on "Adam Levine In Coma After Being Sacked By LA Rams Defense During Super Bowl Half-Time Show"